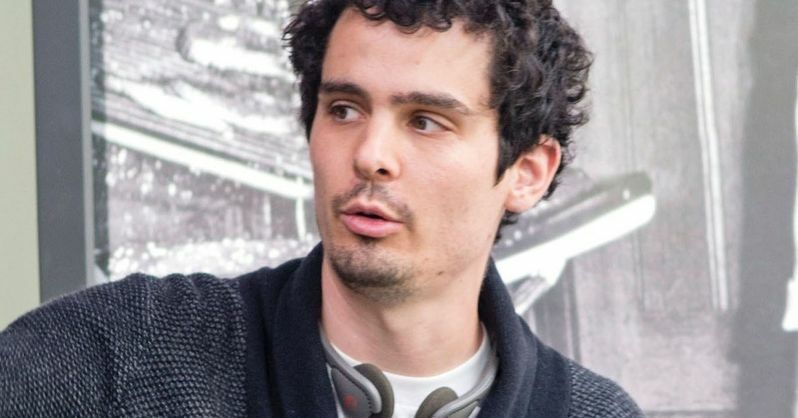 Netflix, the world's leading internet entertainment network, today announced The Eddy, a new Netflix original series from Academy Award-winning director Damien Chazelle. The eight-episode series comes from IMG and will premiere exclusively to Netflix members around the world. This new series comes on the heels of Damien Chazelle's Oscar-nominated musical La La Land which won the filmmaker Best Director and was nominated for Best Picture. Here's what Damien Chazelle had to say in a statement. "I've always dreamed of shooting in Paris, so I'm doubly excited to be teaming up with Jack, Glen and Alan on this story, and thrilled that we have found a home for it at Netflix." Executive produced by Damien Chazelle, who will direct two of the episodes, and written by five-time BAFTA Award-winning and Olivier-winning writer Jack Thorne (National Treasure, This is England, Wonder), The Eddy is an eight-episode musical drama series that will be shot in France and feature dialogue in French, English and Arabic. Emmy-winning producer Alan Poul (Six Feet Under, The Newsroom), will also executive produce, and original music will be written by six-time Grammy Award-winner Glen Ballard (Alanis Morissette's Jagged Little Pill, Michael Jackson's Bad). Following on the heels of other productions in Europe, including The Crown and the upcoming Dark, The Eddy continues Netflix's investment in international and French content. Here's what Erik Barmack, Vice President of International Originals at Netflix had to say in his statement. "From the intense, complex relationship between a jazz drummer and his instructor in Whiplash to his dazzling duo of lovelorn Los Angelenos in La La Land, Damien's work is emotional and electrifying. His projects have a rhythm all their own, and we're incredibly excited for him, Jack, Glen, Alan and the production team to bring their vision for The Eddy to Netflix. We couldn't be happier that he will be shooting The Eddy in France and that we will bring this bold, global and multilingual series to our members around the world." The Eddy is a musical drama set in contemporary multi-cultural Paris revolving around a club, its owner, the house band, and the chaotic city that surrounds them. Here's what Chris Rice, WME IMG Partner had to say in his statement. "The creative team behind The Eddy is truly visionary, and we can't wait to see the world that they create. This project is the definition of premium, global programming, and as one of the first projects of its kind from IMG, we couldn't be happier to have Netflix as the home to take it to audiences around the world." The series will be produced by Patrick Spence and Katie Swinden's Fifty Fathoms. BAFTA-winning producers Spence (Guerilla, Fortitude) and Swinden (Luther, Peaky Blinders) will executive produce along with Chazelle, Thorne, Poul and Ballard. No production schedule was given for The Eddy and it isn't quite clear yet when this musical series will debut on the Netflix streaming service. Hopefully we'll get more updates on this highly-anticipated series soon.